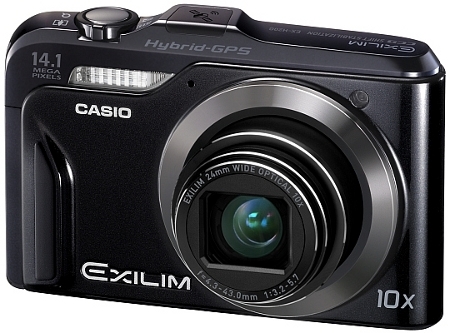 Casio scores another world’s first with the EXILIM EX-H20G Hybrid GPS digital camera, making it the ideal traveling companion. Why do we say so? Well, the integrated Hybrid GPS system will deliver ultra-precise location data for the geotagging of photos and videos. Sounds normal, but you would be stoked to know that this is also the first camera that is able to geotag indoors. Yup, we’ve said it – you can even go into your home without missing a beat, snapping away happily while having those images tagged. Apart from that, you can also view your location on the camera itself thanks to a pre-loaded map on the EX-H20G. Geotagging has certainly been made all the more popular these days thanks to the introduction of photo-sharing Web sites, and consumers do take the effort and time to do more with their images. The Casio Exilim EX-H20G intends to take the geotagging experience to a new level, whereby it will incorporate exciting technologies to make the entire process fun, easy and completely seamless. How does it work indoors, you ask? Well, that is why it was dubbed the “Hybrid GPS system”, merging GPS with autonomic positioning, where it is made possible thanks to an internal motion sensor. This allows the EX-H20G to track a user’s last known satellite-acquired position against map data stored in the camera’s internal memory, no matter if you are indoors or not. Not only that, the camera itself comes pre-loaded with information regarding 10,000 sightseeing photo spots worldside, and each time you are within range of one of these photo spots, the EX-H20G will automatically alert you, letting you know that you’re standing on the site of a point-of-interest. This might just change the way you snap photos as you will probably want to make full use of the Hybrid GPS system, changing the way you travel and plan your holidays. We wonder whether this consumer level feature will ever make its way to the DSLR market, or would DSLRs remain within the realm of serious folk who do not want something like a GPS system interfere with its final results? Only time will tell, but we know that this 14.1-megapixel shooter will hit the market later this November for $349.95.